The RSV is much better looking in real life than in pictures. I was thrilled by the looks of the bike but was floored when I heard it run. I must say I do favor the sound of the twins. Ergos are rather aggressive, seat is on the high side and the clip ons are low. i feel a bit splayed over the tank, very similar to an SB6R from what I recall of my test ride on that bike. Anyway, I am excited as the riding weather is coming up this Sunday. A side note, few days ago I learned that the sole MV/Guzzi dealer in Houston closed its doors. Thats not good news as Houston is the 4th largest city in US. So for MV and Guzzi owners living in Houston the nearest dealer is now 3 hrs away in San Antonio. 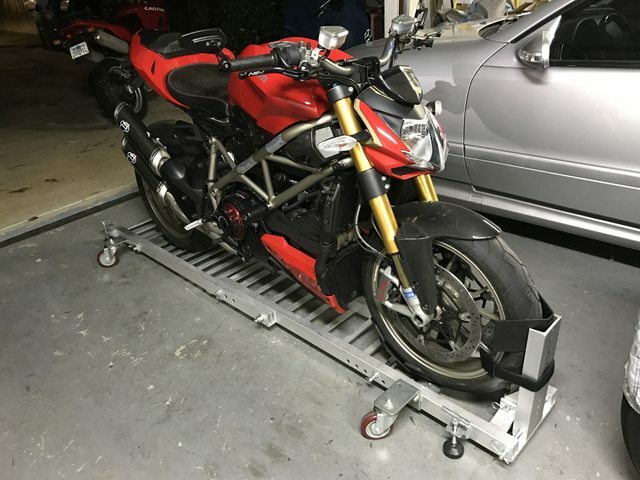 This is sort of going back to why I sold the Brutale. I'm a sucker for a big V-twin . Have a few 4-cyl bikes , but they are just soulless . Think it must be an age thing . It's more about the quality/enjoyment etc of the ride experience these days. Although showing some pleb on his 200bhp rocket how to negotiate the twisty stuff on a 100-120bhp light/well handling bike is also great fun ! 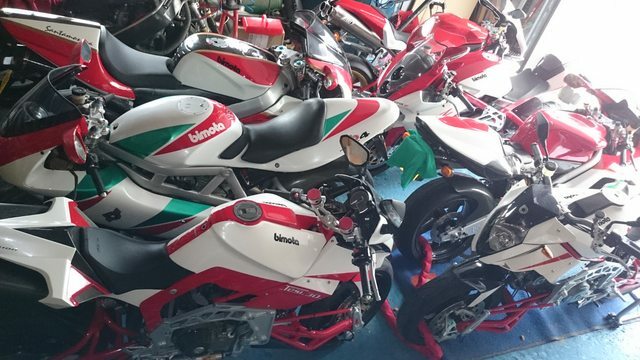 RSV looks well cared for by the previous owner . Looks like a good find !! Bike market similar in the UK . Some brands just seem to struggle to get the sales figures they deserve . MV is a very select brand with only the odd dealer selling an exclusive dream. !! Now where have I heard that before?? Well, keeping with the spirit of this thread I have to report a new acquisition. 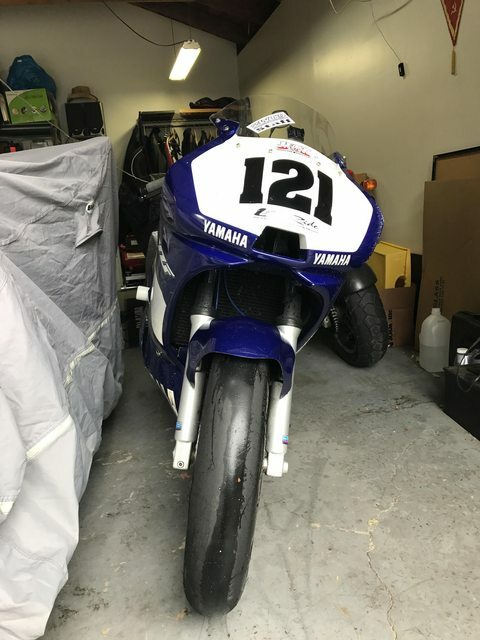 Its a 2001 Yamaha R6 track bike. A little while ago I sold my Kawi ZX6R to Texas and set out to find a 750 (or greater) mill. It had to be Japanese because it has to be a) very reliable and b) very inexpensive to maintain. This ruled out anything not made in Japan. Unfortunately 750 Zooks are a hot commodity and nothing really worthy was popping up on the scene. 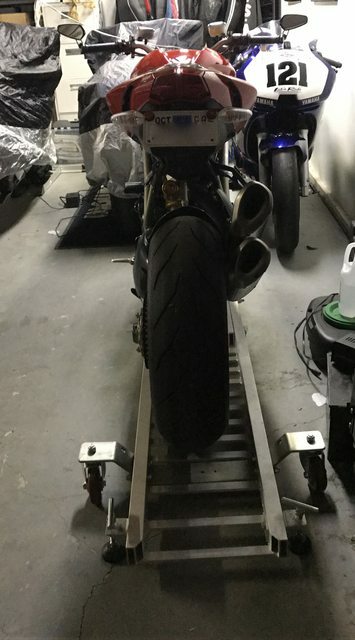 Anyhoo, one of track control riders put up his R6 for sale and I ended up getting it. 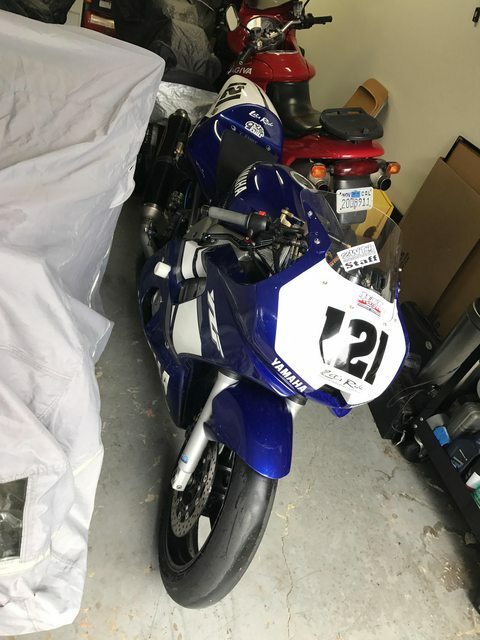 11k miles on the working odometer, recent service, steel brake lines front and rear, gearing for the short Streets of Willow track plus it has a clear Cali title - somewhat a rarity on track bikes. Didn't get to ride it much as it was raining and with slicks on it I have a grace of a bear on skates. Space is at premium, again. Garage walls lost their flexibility and don't expand like they used to. As a solution, I picked up the Condor Motorcycle Dolly over the weekend. I already have 2 Condor wheel chocks so I am familiar with the quality of this product. The dolly came in at a pretty good time as I am actively working on my bucket list..
2BIMS................any chance of borrowing your Flymo? 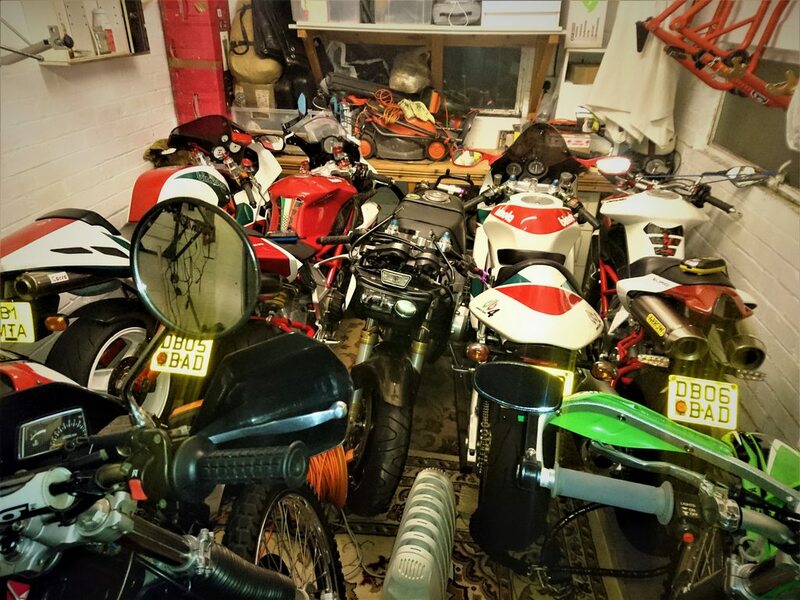 Getting all those bikes into your garage definitely takes skill. Did you use a shoehorn? I have not put a lot of miles due to rain but those that I did I thoroughly enjoyed. 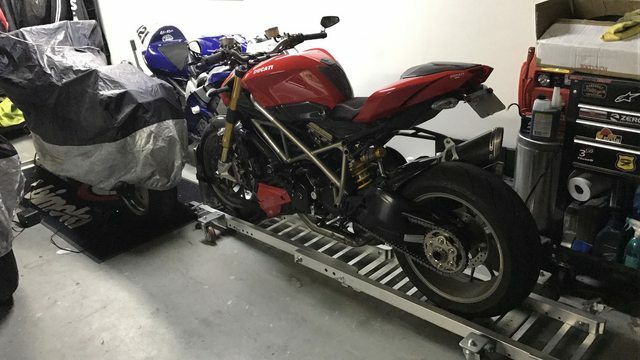 [Getting all those bikes into your garage definitely takes skill. Did you use a shoehorn? If you alternate the way they face you can get them a lot closer together.